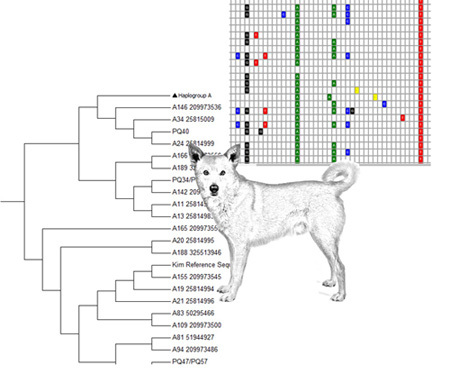 The Canis mtDNA HV1 database is established to collect and surveil available HV1 sequences of Canis lupus mtDNA and reconcile annotation inconsistencies in public databases. The Haplotype identifier supports users in identification of haplotype of a query sequence. Currently, the Canis mtDNA HV1 database contains 5885 DNA sequences belonging to 15 subspecies in the species Canis lupus. Sequences are grouped into haplotypes and haplogroups. Candidates for new haplotypes are also grouped awaiting to be assigned.